Photo of the day: YOU ARE NEVER TOO OLD TO . . .
YOU ARE NEVER TOO OLD TO . 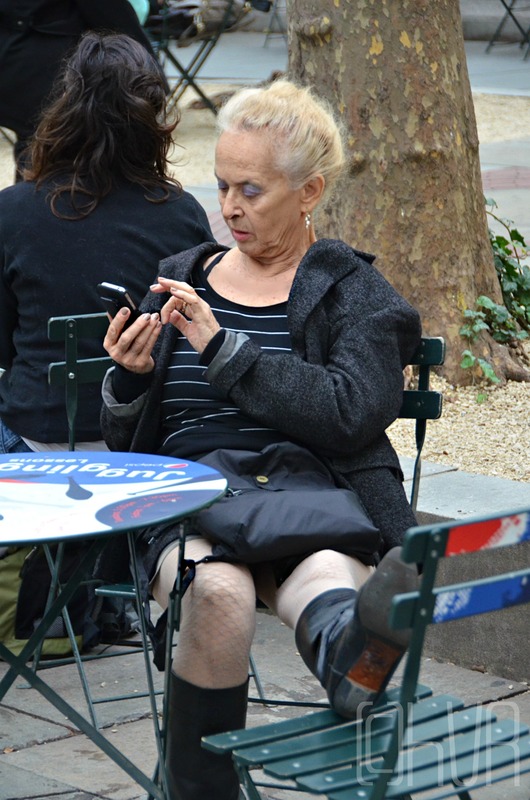 . . : Wear a mini skirt, fish net stockings, black leather knee high boots and to try to figure out how to use your iPhone !